A night you won't want to miss! 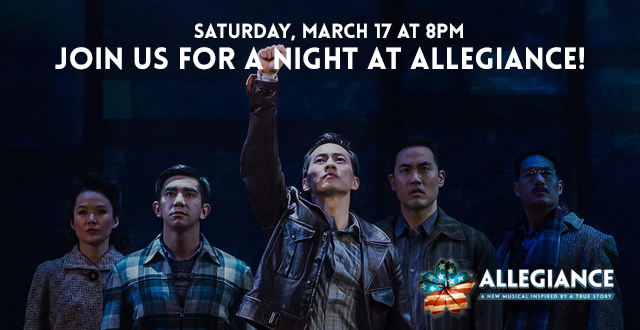 Join Kizuna family and friends for an uplifting, entertaining, and educational night watching Allegiance: A New Musical Inspired by a True Story! Kizuna is offering a limited amount of discounted balcony tickets* for one night and one night only! Bring your friends and family to watch a story of the WWII incarceration experience of Japanese Americans. *For those needing ADA accessibility, we offer a limited amount of Orchestra seating to accommodate. 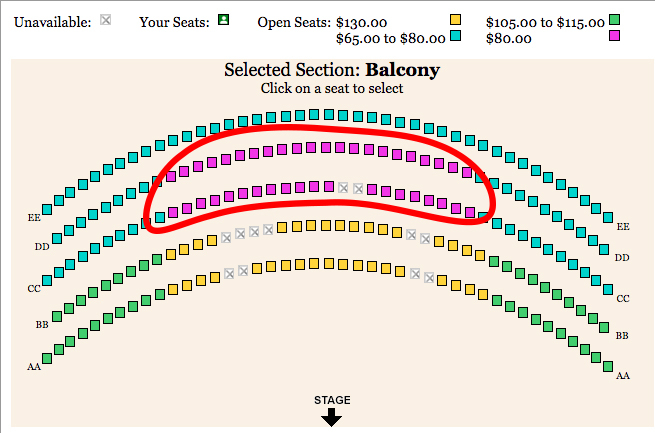 Kizuna is offering a limited amount of discounted balcony tickets ($64, originally $80). Use code: KIZUNA when you check out to receive discount. 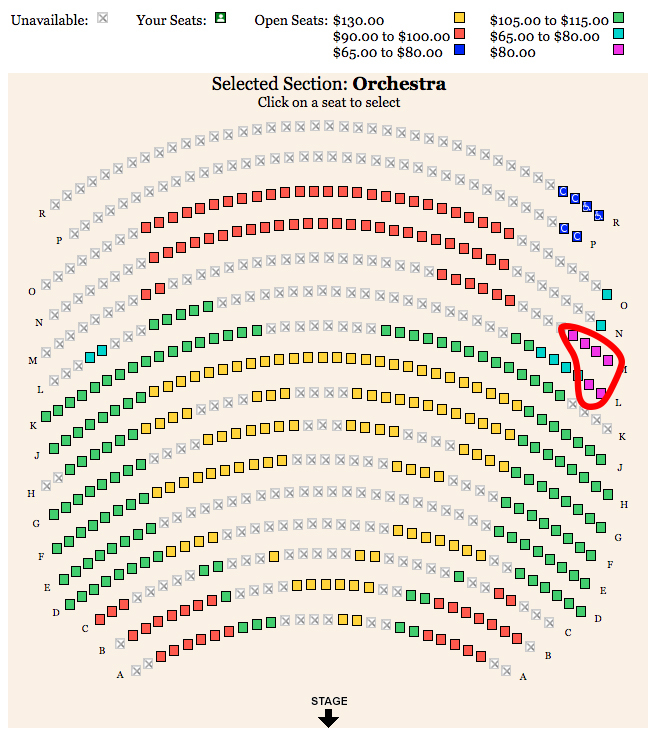 **These seats are very limited in number and are only offered to those who need ADA accessibility. You will be asked to confirm prior to purchasing one of these tickets. Please call the Aratani Theater Box Office (213) 680-3700 for all ticketing inquiries.